Asia’s e-commerce landscape has been booming in recent years. The swift adoption of smartphones and greater access to the internet have allowed consumers in the region to be a major force in the global digital economy. The expansion looks set to continue at a rapid pace. According to a November 2018 report by Fitch Solutions, e-commerce sales in the region are forecast to increase by 14.2% this year, with an estimated average annual increase of 14% over the medium term (2018 to 2022). Malaysia posted the strongest growth in the region at 20%, a trajectory that will see e-commerce sales in the country rise to a projected US$12.9 billion in 2022. Industry players have started to capitalise on the opportunities this offers. Lazada, an investee company of Rocket Internet that was founded in 2012, is one of the biggest players in the country. The online marketplace is backed by Chinese e-commerce titan Alibaba Group. Lazada is currently present in six countries, with a total of 400,000 sellers, thousands of brand partners and more than 100 logistics partners. During last year’s “Singles’ Day” (Nov 11), Lazada Malaysia broke its 2017 sales record of RM111 million within the first nine hours of the sale. Andrew Gnananantham, chief marketing officer of Lazada Malaysia, says the company makes the most out of its data, technology and global resources [from Alibaba] to continuously enhance the consumer experience, in line with their purchasing behaviour. “The opportunities in the world of e-commerce are endless. Being unencumbered by physical and geographical barriers allows for creativity and variation in finding ways to reach, engage and sell to consumers,” he says. There is also a number of new players such as Kumoten, a business-to-business platform that helps sellers start and manage their online business at the lowest risk possible. Its target users are those who want to sell online, but do not have the necessary resources for the back-end, such as the packaging and delivery of the products. Users can select products from Kumoten’s online catalogue and put the items up for sale on other marketplaces. When a product is sold, users pay Kumoten the wholesale price while buyers pay the full retail price. The company will then pack and deliver the product directly to the buyer. Users can select and list as many items as they like without paying anything up front. So, their risk, not to mention overhead costs, is significantly reduced. “For many years, people thought that selling online would be easy. But it is not. In fact, it is actually risky. There have been many cases of failure. There have been many who bought products from overseas suppliers only to end up being cheated. Those who did not know how to manage their businesses ultimately had to give away their goods as gifts,” says Kumoten CEO Isaac Leong. The smaller players are not the only ones tapping the huge business opportunity. Astro Malaysia Holdings Bhd saw the potential of the space few years ago and launched its online shopping platform Go Shop in 2016. The platform is operated by Astro GS Shop Sdn Bhd, a joint venture between Astro Malaysia and South Korea’s GS Home Shopping Inc.
“Back when we were still considering this joint venture, our household penetration was about 60%. So, we did have access to a large number of consumer homes. 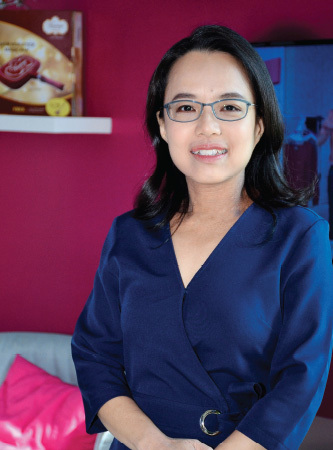 When we spoke to some of the TV shopping business operators overseas, we found that we had all the resources needed to start a platform that offered something other than pure TV content to our consumers,” says Astro GS Shop CEO Dr Grace Lee. Go Shop is broadcast on three 24-hour Malay and Mandarin channels and is available on web and mobile platforms. It is also present in Singapore through its collaboration with a local home shopping player. The platform — which has a user base of 1.3 million — is home to 500 brands, with 8,000 products from various merchants and brand owners. Go Shop did very well last year. For its financial quarter ended Oct 31 last year, the platform recorded revenue of RM275.2 million, up 34.2% from the previous corresponding period. This was due to more products sold, which was mainly driven by the tactical campaigns carried out to capitalise on the three-month tax holiday and the company’s anniversary celebrations. Last year, Go Shop launched celebrity-anchored live shows, which proved to be a hit. Recently, the platform recorded its highest product sale in a span of just two hours when it featured local celebrity and entrepreneur Datuk Seri Siti Nurhaliza on a live show selling a collection of cooking utensils. It sold seven times its target amount. This year, Astro GS Shop intends to grow its commerce segment within the Astro ecosystem by combining its growing online presence via web and over-the-top platforms, its access to data, analytics and artificial intelligence (AI), as well as its strengths in on-screen talent and content production, says Lee. The e-commerce sector’s contribution to GDP is going up. Last December, International Trade and Industry Minister Darell Leiking said e-commerce contributed RM85.8 billion in 2017 compared with just RM37.7 billion in 2010, with an average annual growth rate of 12.5%. The government is targeting an annual growth rate of 20%. The Malaysian government has introduced various initiatives over the years, the most prominent being the establishment of the Digital Free Trade Zone (DFTZ) in 2017. The DFTZ is an electronic trade hub located near the Kuala Lumpur International Airport. What about the traditional players? While the online boom has impacted traditional bricks-and-mortar retail players in Malaysia in certain sub-segments, players in other segments have succeeded in using e-commerce to redefine their businesses and thrive in the digital economy. Emmanuel Coucke, partner at Bain & Co, says that thus far, online sales have made up a small portion of the total retail sales globally. In most cases, the stories of bricks-and-mortar retail players filing for bankruptcies have little to do with the competition for online sales. Instead, they are more connected to other complex issues, such as high leverage and mismanagement, he adds. “While it is true that part of the [consumer] spending pie has gone to the e-commerce players, offline retail is still experiencing growth. 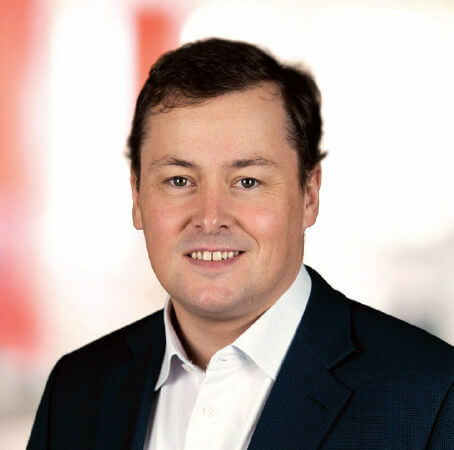 Over the past five years, pretty much all of the emerging markets experienced positive offline retail growth, albeit at a lower rate of 1% to 2% compared with the historical range of 3% to 5%,” says Coucke. The same can be said for Malaysian retailers. While retail sales growth may have slowed over the years, e-commerce is not the main culprit, say retail associations. On Jan 14, Retail Group Malaysia (RGM) announced that the association had projected a growth rate of 4.5% for the country’s retail sector this year, slightly lower than the forecast of 4.7% for last year. According to the association, consumer and business sentiment in the local retail sector is expected to moderate this year as the economy will be mostly driven by private consumption and investments amid curtailed government expenditure. Last July, RGM managing director Tai Hai Hsin was quoted as saying that online retail sales only accounted for about 2% of the total retail sales the previous year. He said he firmly believed that e-commerce would not replace physical stores anytime soon. Instead, they would complement each other. Meanwhile, a recent survey done by the Malaysia Retail Chain Association (MRCA) revealed that online sales made up only 3.9% of its respondents’ retail revenue. The respondents represented 59 brands and 2,266 stores across a variety of trade categories. However, the association pointed out that the digital economy is here to stay. So, retailers should not be threatened by e-commerce. Instead, they should embrace technology to drive their businesses by using the omnichannel or online-to-offline (O2O) approach. Omnichannel refers to the multichannel sales approach that provides the customer with an integrated shopping experience. The customer can seamlessly shop online from a desktop, mobile device or at a physical store. For example, fashion retail brand Uniqlo allows customers to buy its products online — either via its website or mobile app — and collect them at their preferred outlet. “Customer experience, value and productivity can be increased through initiatives such as AI, the Internet of Things and big data analytics, coupled with remodelling of the store layout, business model, delivery systems, employee training and innovation,” says MRCA in a statement. Coucke concurs. He says the adoption of the omnichannel approach will not only complement their offline businesses but also present them with new opportunities. “Not many people realise this, but even online-only retailers are slowly taking their businesses offline to address the limitations of their purely digital business model. For a start, these bricks-and-mortar retailers do not necessarily need to go all out to adopt this approach. In fact, they do not even need to have an e-commerce platform, says Coucke. They could start by establishing an online presence and leveraging basic tools to enhance their business. “For instance, they could have an online product catalogue to enable virtual fitting rooms or a digital tool in physical stores that allows customers to pre-order products. While these may not sound like a lot, they are steps in the right direction that could make a real difference to these businesses going forward,” he says. 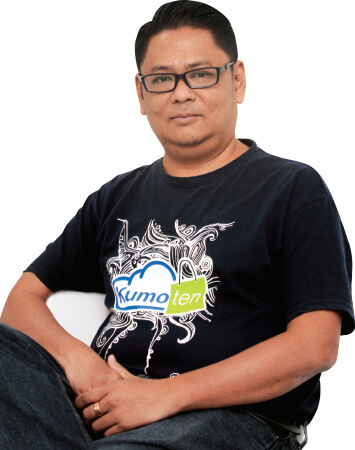 In Malaysia, many of the local retail brands are not moving fast enough to win in e-commerce, says Kumoten’s Leong. He notes that while some are moving aggressively, such as home improvement store Mr DIY and food and beverage operator Old Town White Coffee, others have yet to figure out a suitable digital transformation strategy. That said, the e-commerce space in Malaysia is still maturing. A few key challenges have yet to be addressed, such as inefficient logistics and fulfilment processes. Leong, who had a short stint as store director at Carrefour, says logistics have been a huge challenge. “You need to have a strong team dedicated to developing the e-commerce business. The inventory management system needs to incorporate a good online ordering system. While large hypermarket chains may have the resources to invest, do they have the knowledge to manage the order-to-fulfilment process? Another challenge in the ecosystem is the payment channel, considering that many Malaysians are still reluctant to go cashless. A Jan 3 report by Nielsen revealed that while 65% of Malaysians have a debit card, cash is still king when it comes to everyday expenses. Meanwhile, only one in three consumers still pay for their utilities in cash. According to Astro GS Shop’s Lee, when Go Shop started in 2016, almost 90% of the transactions were cash-on-demand (COD). This meant that logistics partners had to carry cash when making deliveries, which was neither efficient nor secure. Thanks to continuous conversations with logistics partners and financial institutions, pure COD transactions have now decreased to 60%. “In urban areas, we have done a lot to encourage cashless transactions. But more needs to be done outside these areas. We want to see a higher adoption rate of cashless transactions throughout the country,” says Lee. What is next for Malaysia’s e-commerce space? Lazada’s Gnananantham foresees a move towards personalisation, using AI to create better product relevance, which will allow e-commerce platforms to better predict and fulfil consumer demand. Also, he observes that AI will be deployed at fulfilment centres and logistics warehousing systems to significantly reduce delivery lead time for local and international shipments. He adds that going forward, key opinion leaders are expected to strongly influence customers’ online purchasing decisions, particularly in the health and beauty, fashion and electronics categories. There will also be an increase in curated video content from brands, such as make-up tutorials, product reviews and cooking demonstrations. “Categories such as groceries, daily essentials and household products, and digital goods and services are set to become industry game changers this year. The introduction of loyalty programmes with rewards, promotions and discounts from top partners will also be more widely available,” says Gnananantham.